How about grilling a healthy … burger? When someone mentions healthy foods or foods that are good for you – a burger is probably the first thing that comes to mind. However, there is a way to make a healthier burger and to add healthy garnishes and condiments to make it even more nutritious. Here at some changes you could make to boost it’s nutrition and avoid some of its unhealthier aspects . Let’s start with the burger itself – if you make it out of organically raised grass fed or pasture raised beef – that makes it better. You will avoid the hormones and antibiotics by going organic and get the benefit of healthier beef from a cow raised on the food they were designed to eat – grass. If you make it from bison instead of beef – even better. Bison are free-range animals, and are raised without hormones and antibiotics. 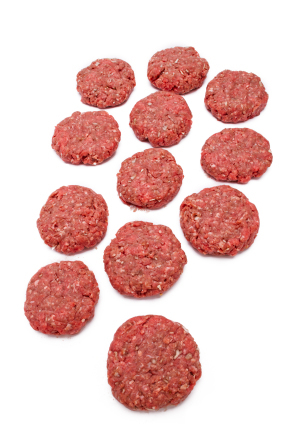 In addition, bison is a healthier red meat that doesn’t have the same amount of fat as beef. Bison (buffalo) is even recommended for heart health by the American Heart Association because it is very low in total fat, saturated fat, cholesterol and sodium. 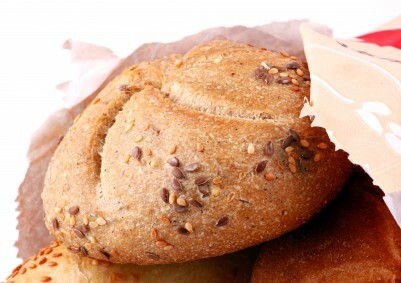 A whole grain bun is better than a white bun – whole grain breads are always healthier than those made with white flour – even better if it’s organic. You could always skip the bun altogether and enjoy the burger with some healthy toppings. Organic condiments like ketchup can help avoid more toxins – and of course, look for ketchup made with sugar, not high-fructose corn syrup. For an added boost, consider adding some sprouts and avocado (organic of course). You get some satisfying healthy fats from the avocado (which will help leave your hunger satisfied), and an added vitamin and enzyme boost from the sprouts. Remember – you don’t have to do these all at once if it seems overwhelming. Take these steps one by one and transform your diet into a healthier one one little step at a time. After you make one change, move on to the next. Questions or comments? I’d love to hear from you – leave a reply in the box below. Previous PostPrevious Need some workout ideas? Next PostNext Have some coffee and boost your health!